You could be forgiven for thinking that if data storage companies were dinosaurs, EMC would be Tyrannosaurus Rex. If they were all fish, EMC would be a shark. Nothing wrong with being a T-Rex or a shark. They’re just large, fearsome and old fashioned. This might be how EMC is perceived from the outside in, as a large cut throat arrogant organisation. I can tell you from working here that this is definitely not the case, I have never worked in a more fluid organisation where change and creativity is embraced. This for me is no more highlighted than the release of EMC ViPR at EMC World 2013, what EMC are doing is introducing a software layer to control the data centre. True EMC’s play has always been in the hardware layer coupled with software controlling this. these two layers can be defined as “Control Plane” which is the software and the “Data Plane” which is the physical hardware that sits below. Typically what the IT industry has done is marry the control and data plane together which creates vendor lock in. As an end user this is frustrating as the “Cloud Era” by definition is supposed to be open, and while many adopt the philosophy of Cloud Computing customers still have silo’s of compute, network and storage managed by different softwares, plug in’s, skill sets etc and it is too complex. As an example of this imagine you have an EMC storage estate and a Net App storage estate, in reality these are two separate estates. You then also have to think about the compute and network layers, the management complexity of having these two infrastructures etc the list goes on. It is understandable why companies do not put all their eggs in one basket with one single vendor and it is also understandable why people chose different technologies as I will be the first to admit many technologies excel in different areas. But what is harder to fathom is why this single control plane has not been introduced before? Well it is not from not trying, it is only now where the technology is at a level where the concept can be put in to practice. When I think of EMC ViPR I think of Facebook, Google & Twitter with their Compute, Network and Storage approach, they labelled hardware as commodity and placed a very intelligent API on top to ease management of these huge infrastructures. 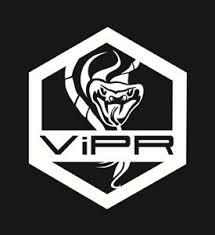 While this API is locked down by them and does very specific tasks in their environment EMC ViPR is planning on being much more than that. The first thing you should know about EMC ViPR is that the source code and API’s are open, EMC are not guarding this close to their chest, this is designed to be industry wide not vendor specific. I think that this is huge, EMC have been quietly publishing API’s for some time now, a lot of it has gone un noticed, but EMC knows they cannot out manoeuvre each startup or very bright graduate student with a fantastic idea, and by hiding what you are doing you limit innovation by these very parties. This is no more evident from the story behind how ViPR began which is a collaboration from different software companies coming together each with their own expertise. So whats the vision, just another software layer yeah? Well no this is why this is so ground breaking, think if you could aggregate your compute, network and storage layers and configure, manage and report in to one control plane regardless of vendor, protocol etc. Pretty cool right? This is pretty out there in terms of its ability, EMC will be the first ones to admit that you need different Hardware to do different things, high transaction workloads require different hardware than archives etc, but the issue with all these is that they all create islands. You can see above that a single API can reach in to a virtual pool which is actually presented from Storage below. This has been dubbed Abstract, Pool and Automate. This is truly moving towards a singular control plane and the data plane existing at a layer where we do not touch this. I have been fortunate enough to try the lab’s with EMC ViPR and immediately what was apparent was the fact I could create services quickly and easily through a wizard which was configuring my services to a policy. For example think like this, If I wanted the best possible service, be that Gold or however you dubb this, what ViPR goes away and does is create this service based on policies, so let’s for argument sake say a VM gets created, is protected by HA, the network and zones are setup and the storage layer is protected by VPLEX. All this can be driven through a wizard and literally took me minutes to do. The most important fact to point out here is that not once did I go in to V-Centre, log in to a storage array to carve out volumes, log in to switches to create zone sets, configure firewalls and security policies etc etc, it was all done for me. Now that for me is a pretty huge deal as it was all transparent to me and as scary as it was impressive. I am not saying that EMC ViPR is the solution to everything as it is still due to be GA and I imagine it will have a lot of tuning/change to come, but for me this is a huge step. Anyone who thinks EMC are the dinosaur or shark clearly have a view of EMC which perhaps is outdated by 10 years and I would encourage you to look at these latest offerings. What has been achieved is quite incredible and yet the concept is hugely simple, hardware is hardware and its intelligence is derived from software, by identifying and separating these two planes (Control and Data) you gain greater flexibility to innovate and this is exactly what EMC are doing. 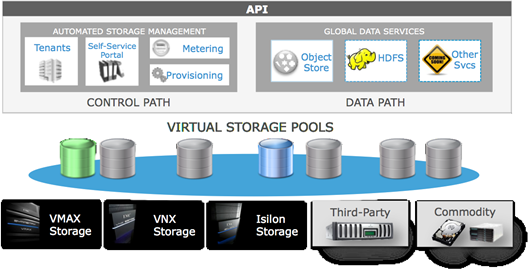 If you would like a very in depth focussed view on EMC ViPR please visit http://virtualgeek.typepad.com/virtual_geek/2013/05/storage-virtualization-platform-re-imagined.html this blog provides a great insight in to the inception and deliverance of this software. On a personal note, I have not had much time to dedicate to this blog of late but I will from now be doing weekly posts.